Swedish Military Bag - Military Grade Toughness Only $18.99 Plus FREE Shipping! You are here: Home / Great Deals / Swedish Military Bag – Military Grade Toughness Only $18.99 Plus FREE Shipping! 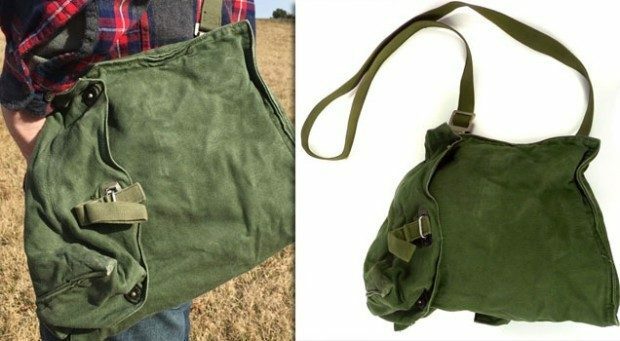 Swedish Military Bag – Military Grade Toughness Only $18.99 Plus FREE Shipping! There is something very retro, cool that I like about these bags! Originally used by Swedish Military soldiers to carry their gas mask in, these tactical bags are great as a daily use bag or as a treking or camping gear bag! The Swedish Military Bag – Military Grade Toughness is Only $18.99 Plus FREE Shipping!